2008. 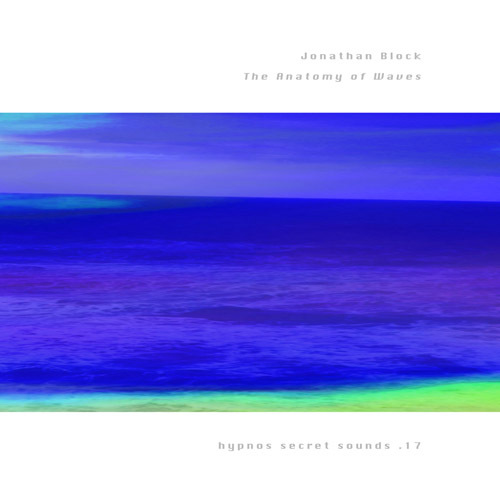 Hypnos is very pleased to announce a new release by Jonathan Block on our Hypnos Secret Sounds imprint. Jonathan has previously worked with Hypnos, when his album Sonic Approach (under his alter-ego Synthetic Block) was released on our Binary sub-label. Also his track 'The Language of Rocks' heads off the most recent Hypnos compilation Sounds of a Universe Overheard. The new album, The Anatomy of Waves, is a series of four long tracks featuring improvisations using an electronic "wind instrument" device, an Akai EWI4000s wind synthesizer. Surface waves. Standing waves. Sound waves. Waves are disturbances that travel through space and time transferring energy from one point to another; often the physical manifestation of an underlying cycle. The Anatomy of Waves is a study of these cycles through evolving waves of sound — representations of our attachment to the crests and troughs that are characteristics of living in this world. The music on this CD was created using a wind synthesizer processed through an effects pedal board and looped using long delay times that fade slowly, enabling new sounds and loops to be added and subtracted. All the tracks have a compositional foundation but this structure is fluid enough to allow the music to move in any number of directions, often simultaneously. From melodic to abstract, musical elements emerge and coalesce by design and hazard as phrases interact with one another and sounds are added that never become part of a repeating loop. 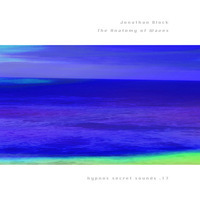 Jonathan Block has been releasing electronic music for over 20 years, often under the name Synthetic Block. Block’s music has been released by Hypnos, Binary and Gears of Sand. In addition to his solo works, Block has performed and recorded with Dave Fulton, The Circular Ruins (APK) and Ben Fleury-Steiner. The Anatomy Of Waves was recorded using an Akai EWI4000s wind synthesizer with a Vox Tonelab LE for sound processing and a Boss DD-20 digital delay for looping. "Jonathan Block at least has some street cred, amassing a small but respectable back catalog of post-Berlin School electronica as Synthetic Block. That approach is mostly jettisoned on The Anatomy of Waves, which spurns sequencer arpeggios for a planetarium parlance of winking symphonics refracting off brighter sides of the Moog. Recalling the bygone days of 70s space critters drunk on synthetic histrionics instead of beat programming, this is the good stuff, broadcast in 70mm, stirred and unshaken."